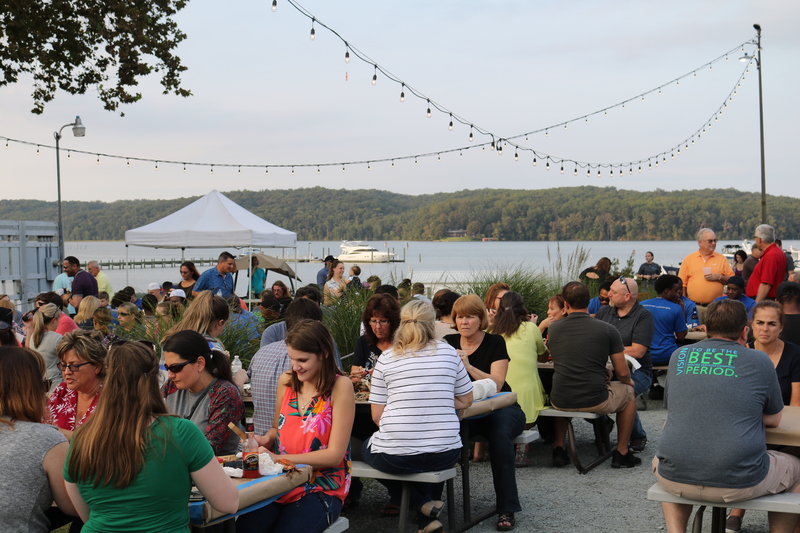 On September 20th, after the workday was over, Hilldrup’s Stafford employees and contractors were all invited to meet at Hope Springs Marina to enjoy our annual, and much anticipated, Crab Feast. 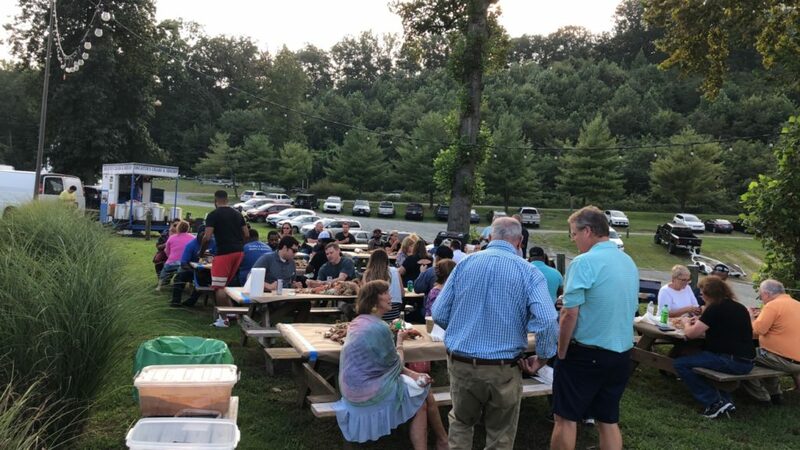 Our team enjoyed filling up on BBQ and treats from Smokin Willy, joining a competitive game of corn hole and dining on what seemed to be an endless amount of, you guessed it – crabs! Hosted every fall, Hilldrup’s Crab Feast is celebrated to thank our Stafford team for their hard work and dedication throughout peak season. Jerry “CrabMan” Decatur provided bushels of crabs, which were cooked on-site, for over 200 employees to enjoy. Once we were full and focused, the corn hole competition was game-on. Many teams joined for their chance to take home a cash prize! Congratulations to our winners, Luis Torry and Deandre Stinson, both from Operations, for sweeping the competition! In addition to the Hilldrup family, our friend, Grace Draper with the Rappahannock United Way (RUW), also stopped by the event. Grace has made it her goal to get to know Hilldrup and our company culture better in order to support our longstanding partnership with RUW. We were proud to give back to this organization all while having fun with our coworkers; together, we raised $356 for RUW in just a few hours – way to go team! We appreciate everyone who made this event possible for us and to all who made Hilldrup’s donation to RUW possible! We had a great turnout – even in the early hours of the Crab Feast! Thanks so much to all who joined in on the fun and delicious crabs! 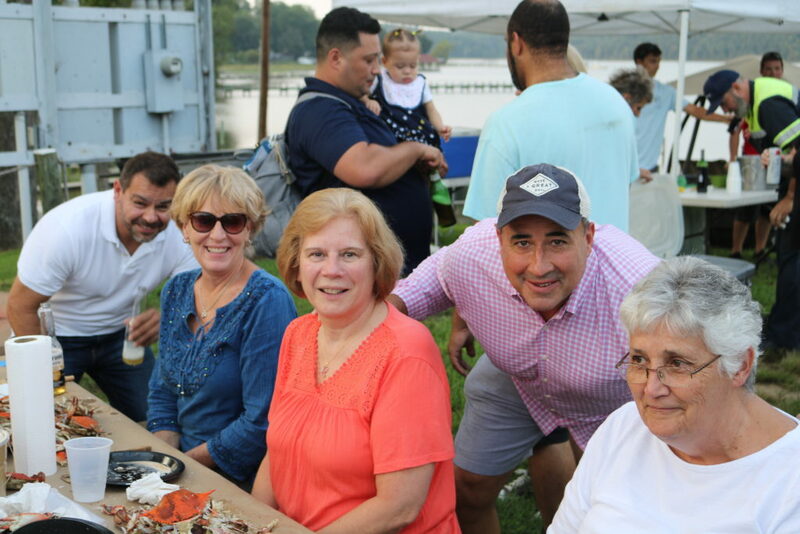 From left: Felix Sanchez, Van Operator; Toni Mohrman, Bill/Order Processor; Connie McGrath, VP Finance; Charles W. McDaniel, President and CEO; and Janis Jerrell, Sr. Bill & Revenue Analyst, all smile for the camera during the Crab Feast, which took place at Hope Springs Marina in Stafford. 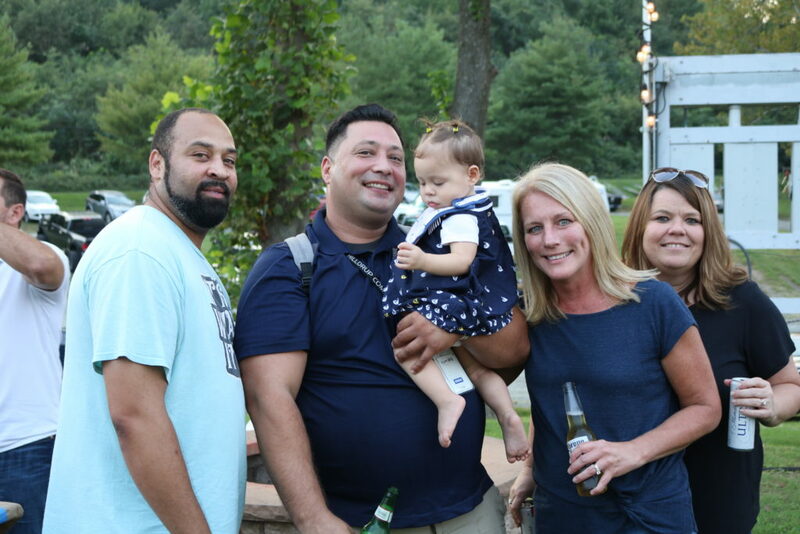 From left: Rodney Johnson, Quality Assurance Coordinator; Harry Howard, Quality Trainer, with his daughter Everly; Jami McKenna, Director, Quality/Customer Relations and Crystal Hunt, Customer Assistance Supervisor enjoy one another’s company after a busy peak season. 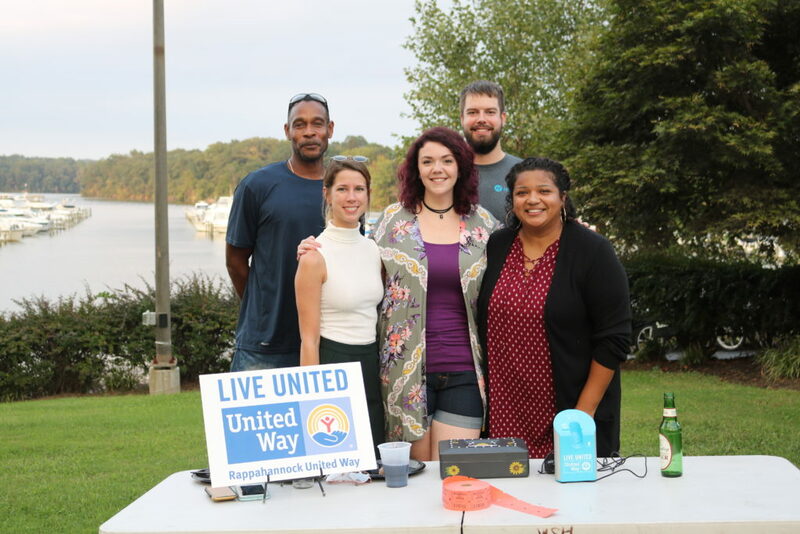 Grace Draper, second from left, with the Rappahannock United Way, stopped by to get to know Hilldrup better to help support our partnership with RUW. We were proud to have raised a total of $356 for RUW through donations during the Crab Feast within just a few hours! 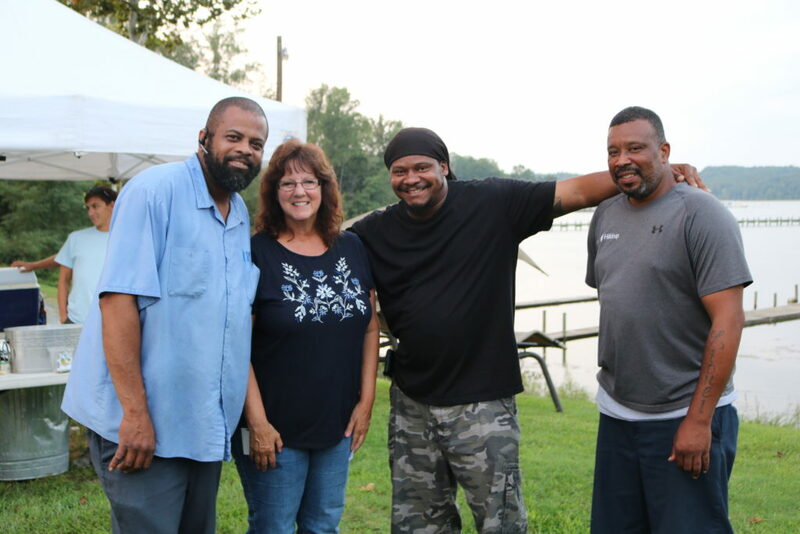 Warehouseman, Russell Hall; Mary Rogers, Manager, Government Services; Edward Wesley Comfort, Operations Helper and Lionel Jones, Warehouseman, are all smiles during the Crab Feast which overlooked beautiful Aquia Creek.